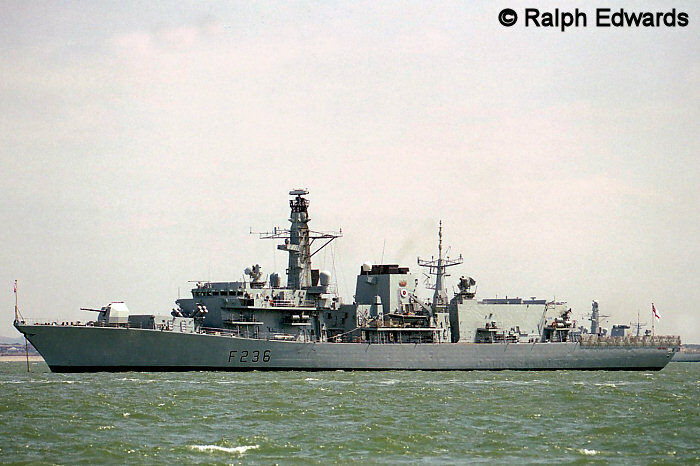 Announced in September 2005 that she would be sold to the Chilean Navy. 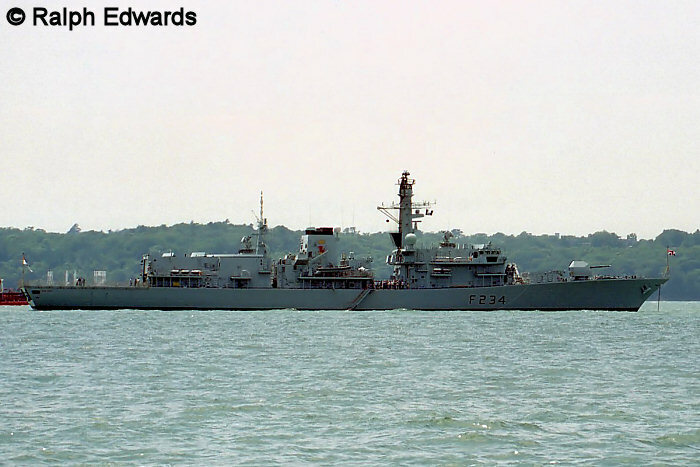 Originally conceived as dedicated light anti-submarine frigates, essentially armed tugs for a towed array sonar, the Type 23 frigates evolved into a much more capable general purpose frigate with self-defence anti-aircraft capabilities, anti-shipping Harpoon missiles, a 4" gun for providing naval gunfire support, and a helicopter deck for Merlin anti-submarine helicopters. 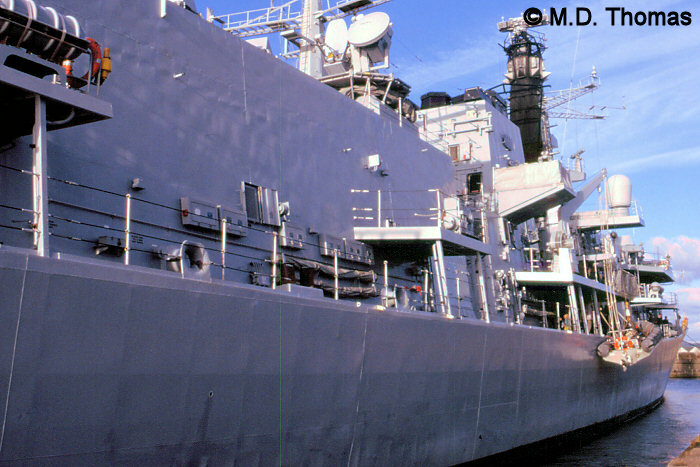 These ships incorporate considerable stealth characteristics, with all vertical surfaces slopes at 7 degrees from the vertical to reduce radar signature and electric drive motors for silent running during ASW operations. 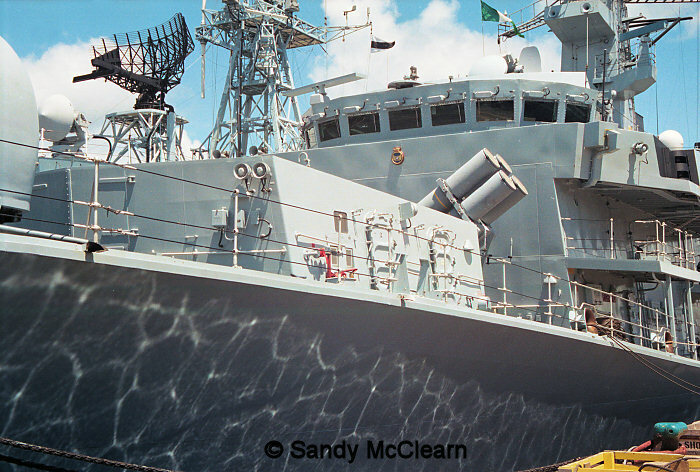 Although fitted with the Seawolf self-defence SAM system, these ships lack a CIWS anti-missile system. 1. 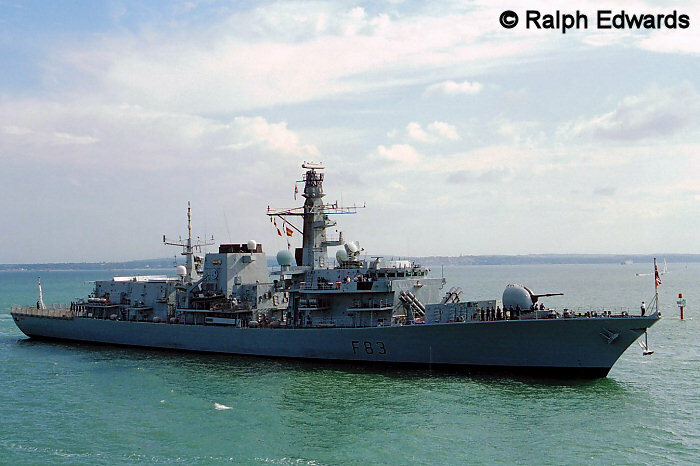 MARLBOROUGH at the Trafalgar 200 gathering at Portsmouth in 2005. She has received her Mod 1 gun in this photo. Ralph Edwards photo. 1. 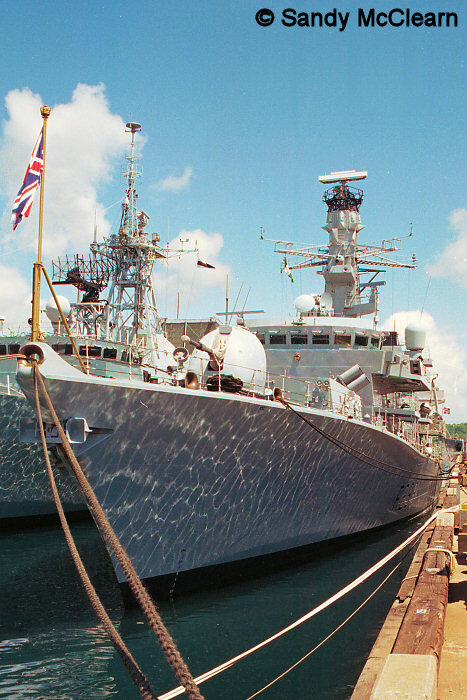 IRON DUKE at the Trafalgar 200 gathering at Portsmouth in 2005. She has received her Mod 1 gun in this photo. Ralph Edwards photo. 1. 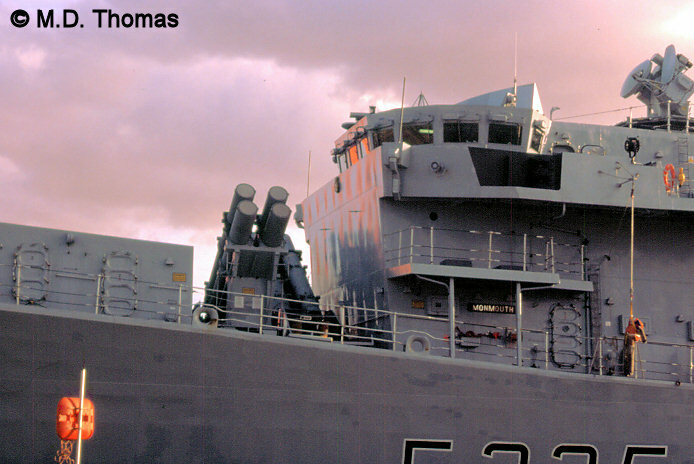 From left to right, the Seawolf VLS launcher, Harpoon launcher, bridge, and Type 911 tracking radar. M.D. Thomas Photo. 2. Looking forward along the starboard side. A RHIB is hanging over the side. M.D. Thomas Photo. 3. Looking forward along the starboard side from aft, with the hangar door visible. M.D. Thomas Photo. 4. 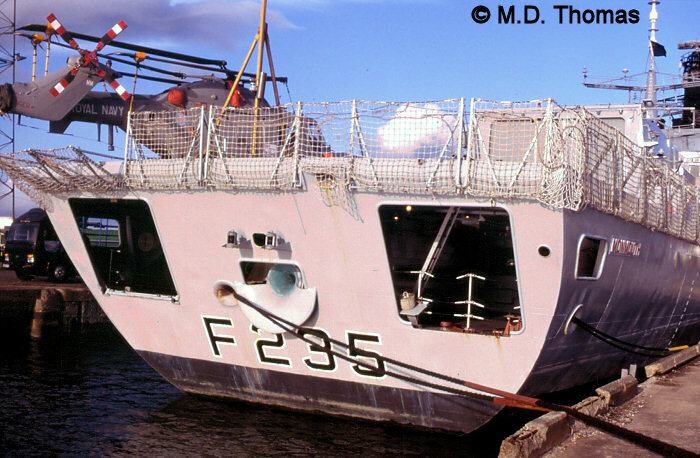 The transom at the stern of the ship, with the opening for the towed array sonar. M.D. Thomas Photo. 5. 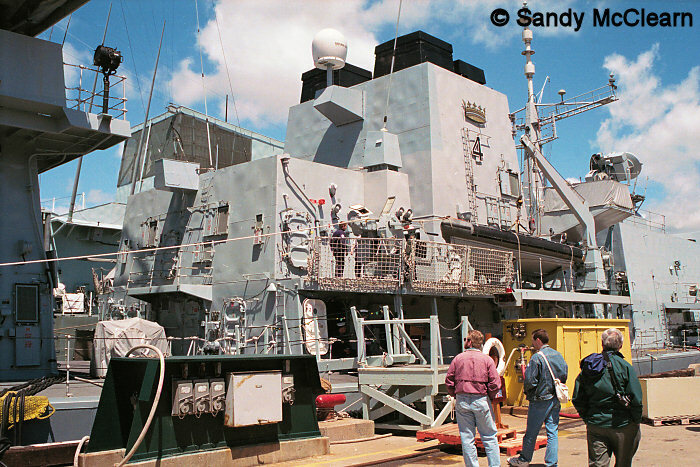 Looking forward along the port side, with the old Mod 0 gun visible ahead of the Seawolf launcher. M.D. Thomas Photo. 1. 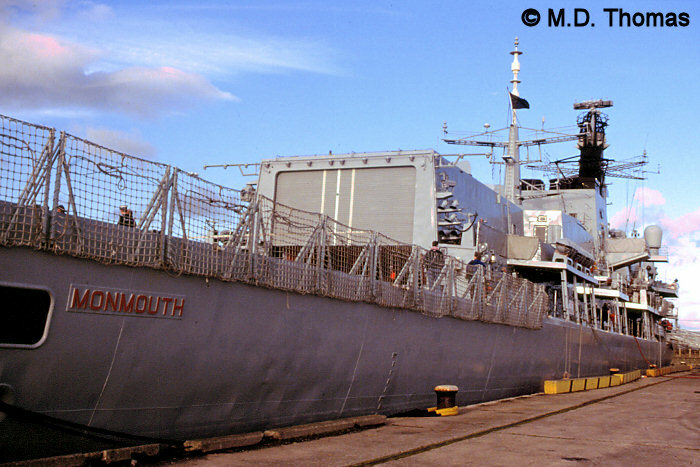 MONTROSE at the Trafalgar 200 gathering at Portsmouth in 2005. She has received her Mod 1 gun in this photo. Ralph Edwards photo. Photos 1 to 7 taken in Halifax during Summer, 1998. 1. 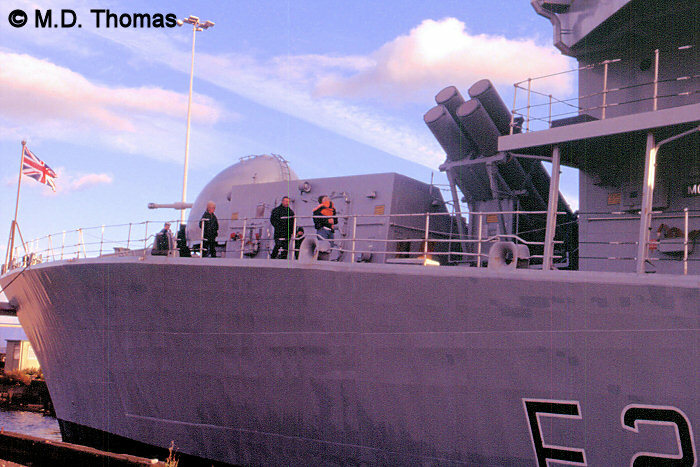 Looking aft across the foc'st'le, with the Mod 0 gun prominent. Sandy McClearn photo. 2. 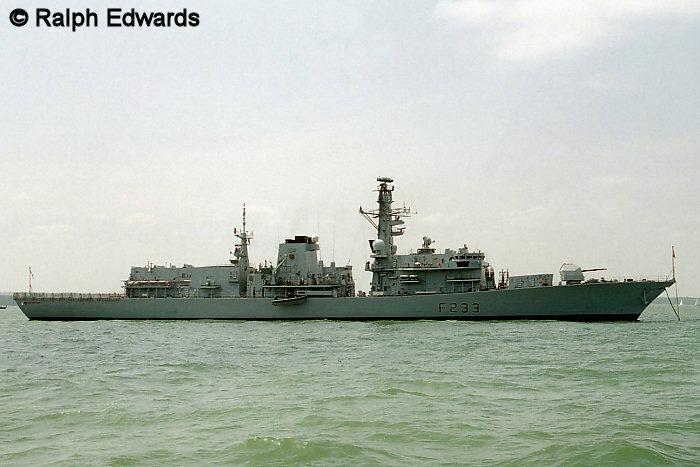 The missile armament on RICHMOND's foc'st'le. Sandy McClearn photo. 3. 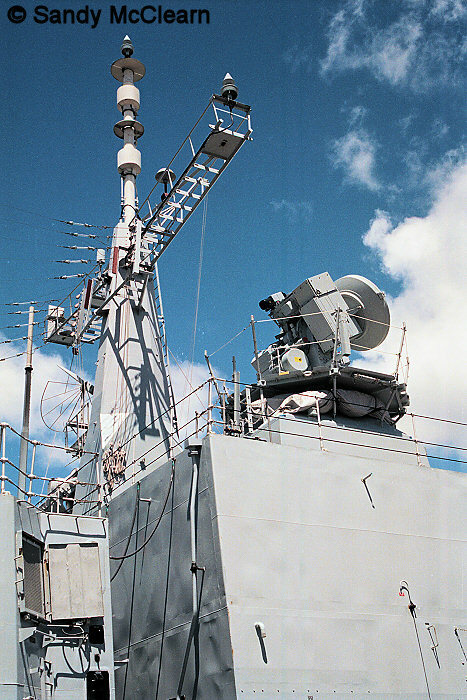 The Type 996 radar is at the mast head, with navigation radar and satellite antenna (domes) further down. Sandy McClearn photo. 4. 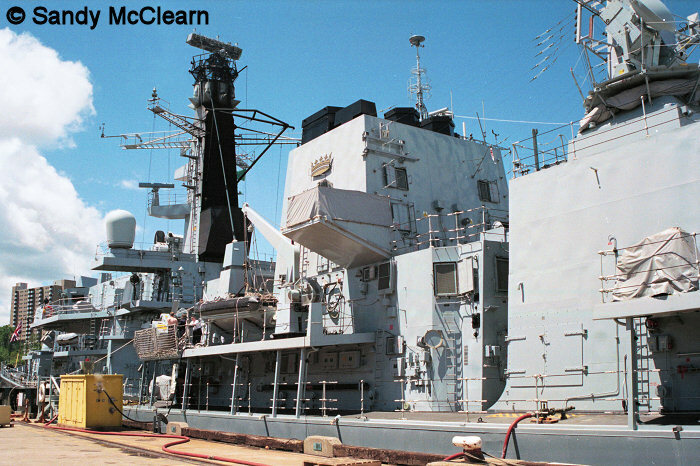 The two 30mm guns are installed to either side, and just forward, of the main funnel. Sandy McClearn photo. 5. 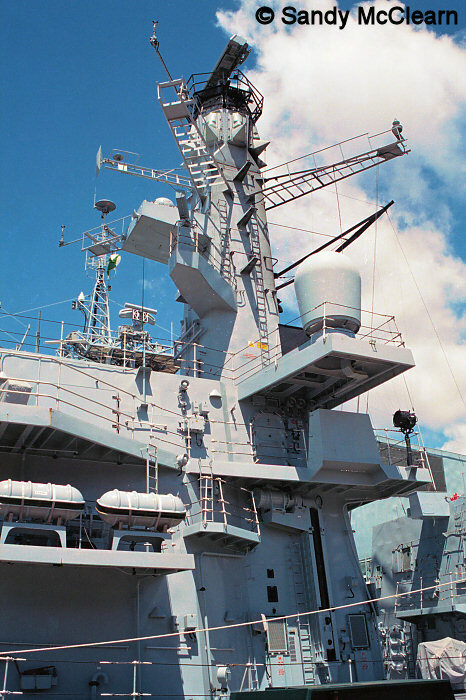 The forward mast from aft this time. Sandy McClearn photo. 6. 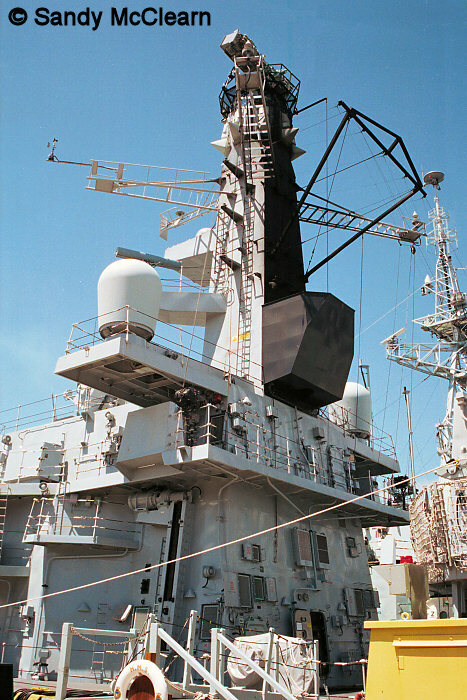 The after mast is located at the forward end of the hangar, with the after Type 911 radar just behind it atop the hangar. Sandy McClearn photo. 7. Looking forward along the port side. Sandy McClearn photo. 1. ST. ALBANS at the Trafalgar 200 gathering at Portsmouth in 2005. She has received her Mod 1 gun in this photo. Ralph Edwards photo. Copyright © 2006, Sandy McClearn. All Rights Reserved.